State of the art animation? Of course. And overzealous security guards? Oh, go on if you must. 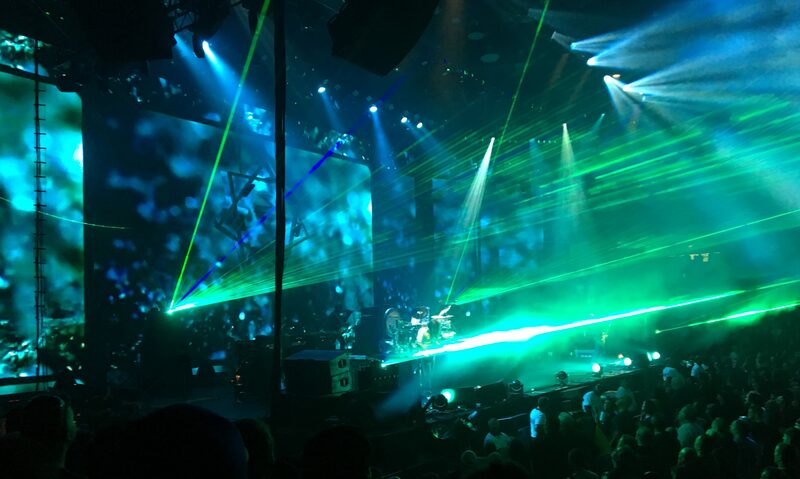 No doubt about it, a Tool show is a visual extravaganza of arena proportions. Except Tool is not really your father’s arena act. The whole evening was an oxymoron–a non-arena arena show, if you will. It was a spectacle that was odd yet familiar, unsettling yet completely entertaining. How else can you describe a show where the front man–Maynard James Keenan to the uninitiated–is anything but up front, remaining steadfastly in the dark at the back of the stage? Unlit by a spotlight and prowling menacingly in a RoboCop outfit on a riser next to the drum kit, Keenan’s presence was more felt than seen throughout the whole evening. before reaching their full height and width in “Schism,” the night’s third song. 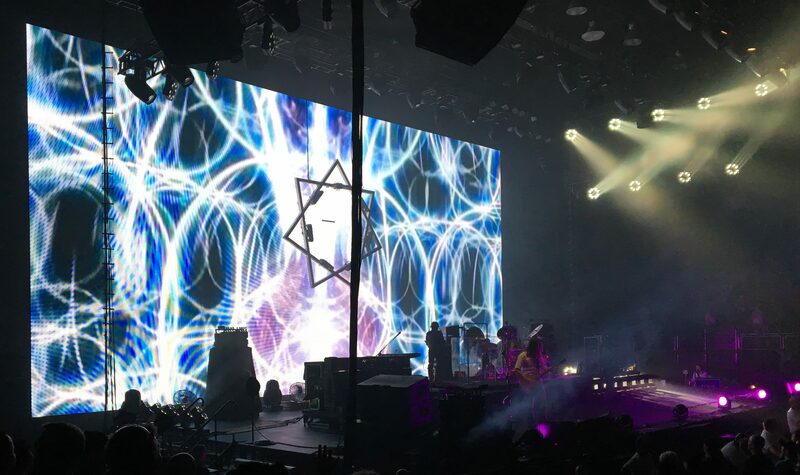 There’s an old adage in music circles that the more elaborate the lighting, the more boring the music, and to be sure, Tool’s midtempo metal drone might not be everyone’s cup of industrial-strength prog tea. But the songs veer off into unpredictable time signatures and looping syncopations that leave the listener guessing at every turn and twist. Drummer Danny Carey effortlessly navigated the complexities, locking perfectly with bassist Justin Chancellor (looking for all the world like a presenter on This Old House) and guitarist Adam Jones, who eschewed fretboard histrionics in favor of chunky percussive chord work and the occasional minimalist solo. 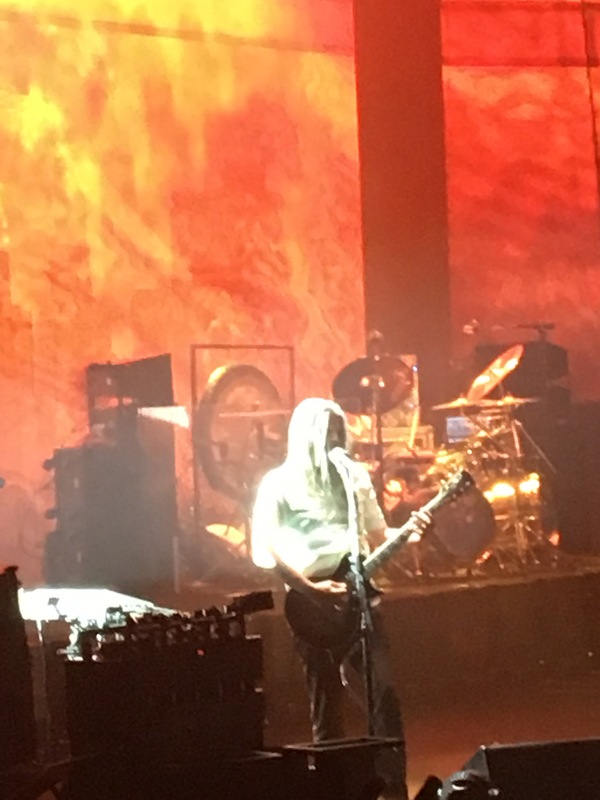 Bizarrely, the band took a 15-minute intermission at the 1:20 mark, coming back with a drum solo–the most rockstar cliche of them all–and a final 25 minutes. Throughout it all, the crowd stood reverently, more interested in absorbing the experience than participating in it, preferring to nod heads and sing the occasional chorus rather than pump fists or engage in other traditional metal shenanigans. So it was left to the security guards to add the final arena-rock touch with their heavy-handed treatment of some in the audience (including my partner Tessa) who dared shoot a minute or two of shaky cell phone footage for their own private consumption–an unfortunate end to an otherwise memorable night and yours truly’s 57th birthday celebration. 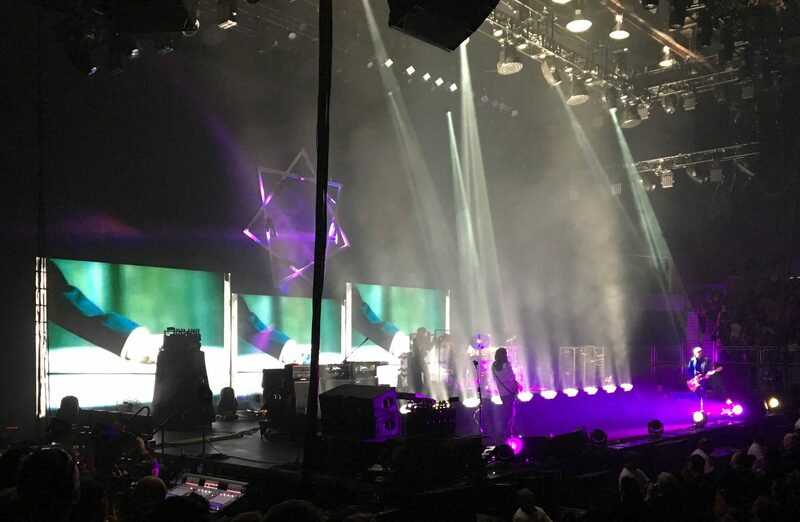 This entry was posted in Reviews, Thoughts from the Guv'nor and tagged Adam Jones, Danny Carey, golem, Justin Chancellor, Maynard James Keenan. Bookmark the permalink.